Dorchester is as picky as its premier guests when it comes to its expansion and is more concerned with maintaining brand standards in major metropolises than snatching up luxurious properties in lesser-known locales. Asia is the most dynamic market for luxury products and services and is the next target for palace hotels under the brand of Dorchester Collection, company chief executive Christopher Cowdray told AFP in an interview about strategy. Dorchester Hotels looks to add six global locations by 2015. Photo by UggBoy. “We have now nine hotels, they are all iconic. We own all of them except the Richemond (in Geneva). The aim is to have 15 hotels by 2015, it’s ambitious but that’s the plan,” Cowdray said. 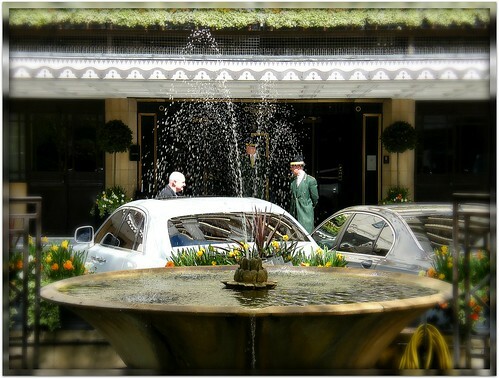 Cowdray ran through a list of cities which the group targets as suitable for its palace hotels, widely regarded in the world of luxury hotels as being in a class of their own.